Page Title Brady Productions LLC." Brady Productions LLC"
Freeman "The Natural" Barr, right, of Naples, warms up in the ring with his trainer and manager, Steve Canton, of Fort Myers, before a public sparring match in the parking lot of John Hall's Goal Post Grill and Sports Pub in Port Charlotte on Sunday, August 15, 2010. Barr, the former IBO middleweight World Champion and the former number one contender for the WBO Super Middleweight title had his career sidelined by sarcoidosis, a disease that inflames the lung tissue. 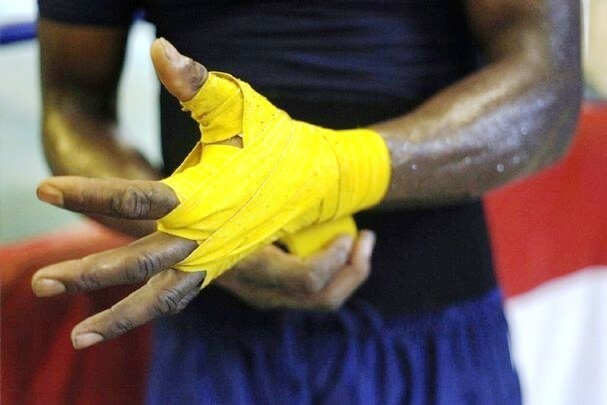 Barr, at age 36, plans on making a comeback to the ring at "War on the Peace River", set for Tuesday, August 31, at the Charlotte Harbor Events and Conference Center in Punta Gorda. NAPLES FORT MYERS � Just off Fowler Street in Fort Myers, tucked between a video store and a home furniture retailer, a shy, middle-aged electrician from the Bahamas shadow boxes across a broom-swept concrete floor. Half a dozen men scattered across the room skip rope, hit duct-taped heavy bags and groan through sit-ups. Everyone is sweating. The room is 10 degrees hotter than the parking lot that bakes outside in the August afternoon heat. The electrician, who lives in Naples, is quietly plotting knockouts. 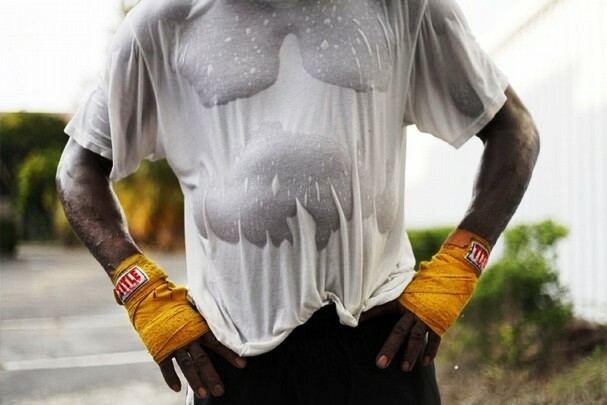 He has been soaking in his own sweat in this gym for the past 16 years perfecting his knockout craft. 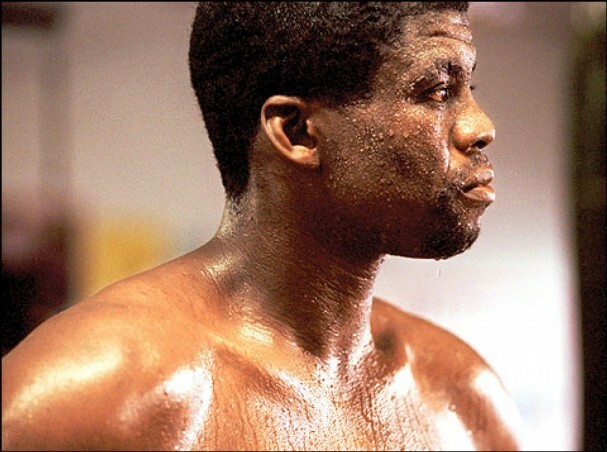 With a 28-4 record and 15 knockouts, Freeman �The Natural� Barr is a two-time middleweight world champion. He has two jobs; wiring the electricity for a new Publix grocery store in North Naples and trying to take back what a mysterious organ-attacking disease took from him six years ago: a world title. 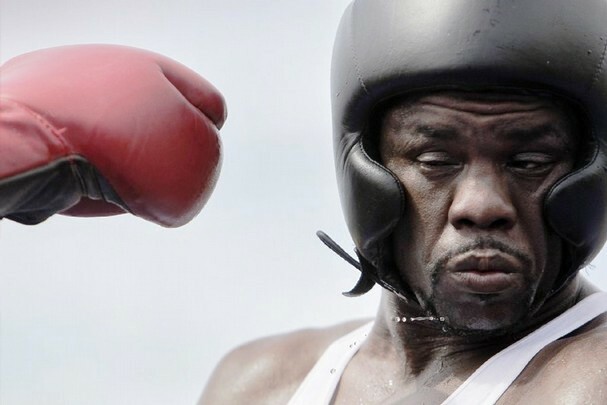 Tuesday, two years after doctors cleared him to fight, the 36-year-old Barr will headline a cluster of boxing bouts at �War on the Peace River� at the Charlotte Harbor Events and Conference Center in Punta Gorda. The doctors thought he had allergies, yet even as his health deteriorated, Barr continued to disassemble his opponents with a devastating jab. Nobody could tell he was ill; Barr fought through the symptoms. He became the No. 1 WBO super middleweight world contender, a spot he held for 25 consecutive months. In 2004, his vision became blurry and he continued to lose strength. Eventually, he found himself unable to swallow and was hospitalized. 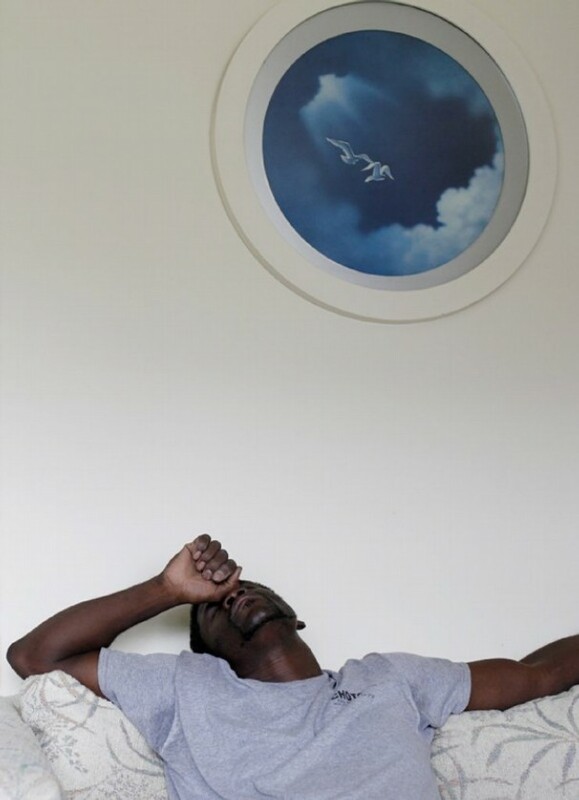 Doctors diagnosed him with sarcoidosis, a disease in which inflammatory nodules form in the body�s organs. The disease can affect any organ, and symptoms can range from shortness of breath, fatigue and weight loss to a collapsed immune system and even death. Recently, the sarcoidosis gained headlines when comedian Bernie Mac died from complications of the disease. Under doctor�s orders, Barr left the ring and retreated back to Naples in 2004 to make his living as an electrician. He supported his two boys, now 6 and 12, as he tried to muster a comeback. 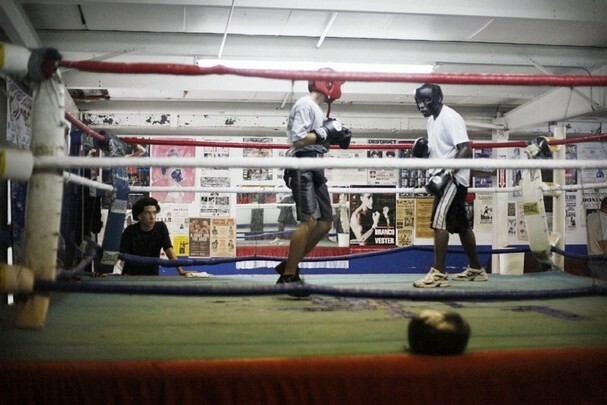 He also took time to coach the younger fighters at the SJC Boxing Gym in Fort Myers. After two years in and out of the hospital, and countless cycles of medications with debilitating side-effects, Barr was cleared in 2006 to return to boxing. 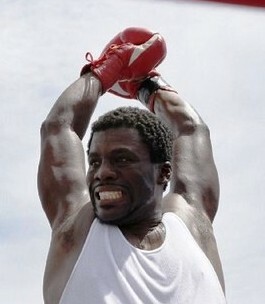 He fought and won two comeback fights in 2006. Then the phones stopped ringing. 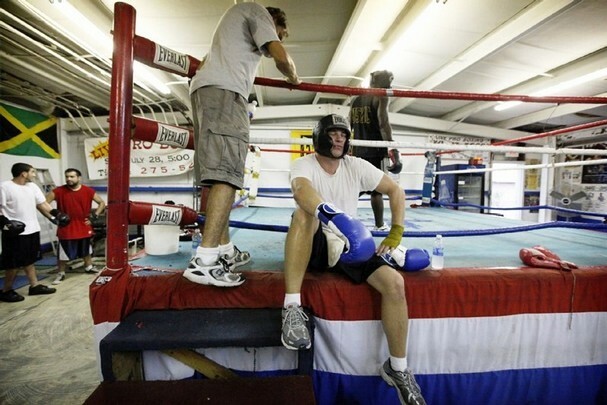 Steve Canton, the owner of SJC Boxing and Barr�s trainer and manager for the past 16 years, marvels at how his fighter, who he considers the best talent he�s ever coached, held two world titles with this debilitating disease, beat the disease, made a comeback and then watched his career stall because of politics. By politics, Canton means an inability to book Barr a match for the coveted WBO title as he sat in virtual purgatory as the No. 1 contender for the belt. It was business, Canton says. Why would the big-money promoters give an unknown Bahamian the chance to dethrone their ticket-selling fighters? 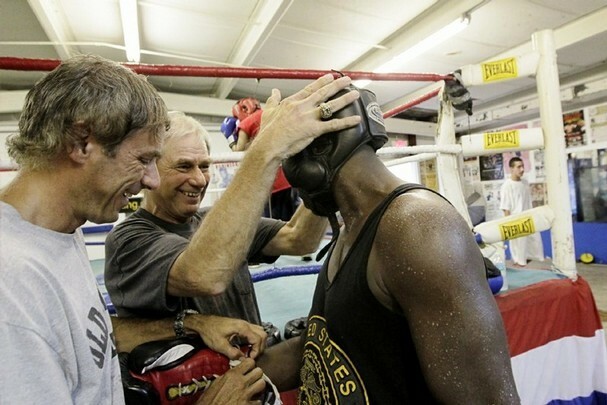 As Barr prepares for Tuesday�s light heavyweight fight in Punta Gorda against Kansas City�s Dion Stanley (10-3), who also is the great-great-grandson of famed lawman Wyatt Earp, he says he feels better than he has ever felt coming into a fight. �I don�t get nervous,� Barr says. �The only thing I care about is I need to get the ring rust off.� Canton says his team feels no pressure, despite the long hiatus and high expectations. He also says their recent partnership with former NFL player and fight promoter Jeff Brady has him optimistic for Barr�s chances of securing a title bout. 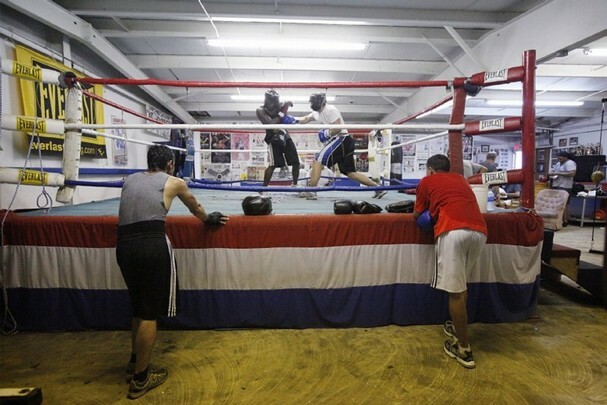 After 16 years of driving to the gym in Fort Myers every day after work, watching his diet, the roadwork, the pushups, the sit-ups and a life devoted to throwing punches, Barr is single-minded as he prepares for Tuesday�s fight. �I ain�t never going to give up,� Barr says.